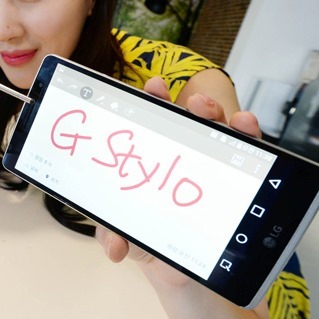 LG G Stylo is not the name of South Korea's first robot hairdresser. Nope, it's a low-end LG phone designed around a big screen, a stylus, and not a whole lot else. The name, according to LG's press release, is a pun on both "stylus" and "stylish." Feel free to spend a minute or two letting that marketing decision sink in. Ostensibly a sequel to the G3 Stylus, the G Stylo is probably the phone that circulated as the G4 in those rumors a few months back. One look at the spec sheet is enough to kill that notion: it's a 5.7-inch phone with a 720p screen, a Snapdragon 410 processor, and 1.5GB of RAM. At least the cameras are decent, 8MP on the rear and a 5MP "selfie" cam on the front, but 8GB of storage space will hold Android 5.0, LG's disappointing "G-series user experience," and maybe one copy of Johnny Cash's 16 Greatest Hits. You'll have to store the rest of the discography on a MicroSD card. The G Stylo does have one really nice feature: a 3000mAh battery, no doubt enabled by its huge "phablet" footprint. LG will start selling the phone in multiple markets on May 5th, but more specific location and pricing information hasn't been released. Thanks to a big screen, a (probably) low price, and a recognizable name, it might get picked up by a few carriers in the US.